At Blackburn Trailers we can meet your hospitality needs, from small stationary coffee kiosks, to giant film location catering articulated trucks. Perhaps a coffee bar in the back of a Beetle is what you require? We will make it happen. 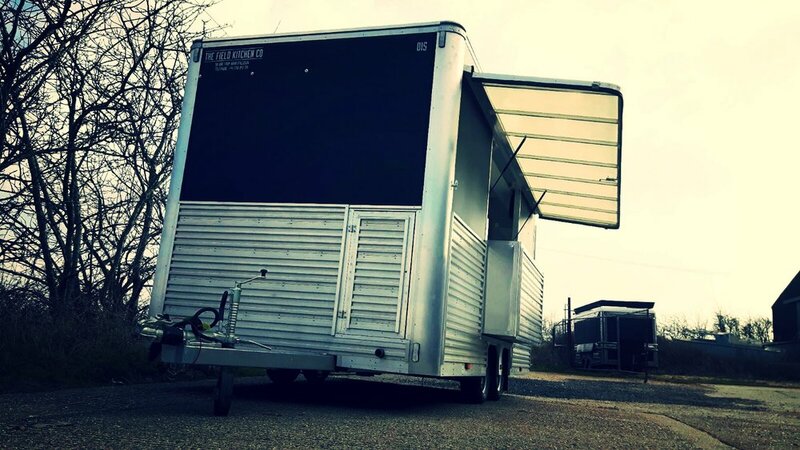 Although we can manufacture and design the weird and wonderful Catering Trailers that people need, we also have a huge amount of experience in building simple, functional Catering Trailers for events, promotion, and film location catering. Varying in design, size and specification depending on the clients needs, our catering units come equipped with everything desired for your kitchen on wheels, and are easy to tow, with an environmentally conscious design. Blackburn Trailers has manufactured film location catering trailers, trucks and kiosks for well known companies all around the world. Working on big budget films or TV shows, in order to keep set crew and actors/actresses fed and watered with whatever they need, these catering trailers are well supplied and built. These trailers have the best catering equipment, coffee machines, pizza ovens and anything else needed to cater for a variety or specialised tastes efficiently and easily. These food sampling and catering trailers demonstrate the range of vehicles that we can manufacture and adapt to suit your product and needs. We have produced trailers, kiosks and trucks for outdoor catering, film location catering, product sampling, mobile bars, kiosks and coffee carts, ice cream parlours, wet fish units, and butchers, to name just a few. We know that every customer has a different requirement and so we offer not only our standard range of trailers, but also specialize in purpose built units to suit certain specifications. We can fit a full range of catering equipment, such as griddles, chip fryers and scuttles, bain maries, panini grills, potato ovens and so on.